A MUST HAVE FOR ANY CELTIC THUNDER FAN! 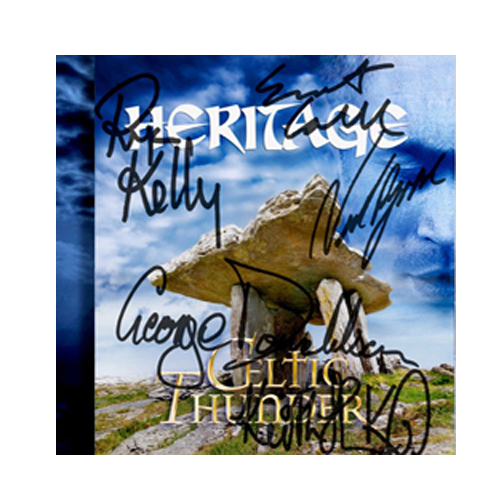 This month, we have a very special offer of limited hand signed copies of Heritage CDs & DVDs. 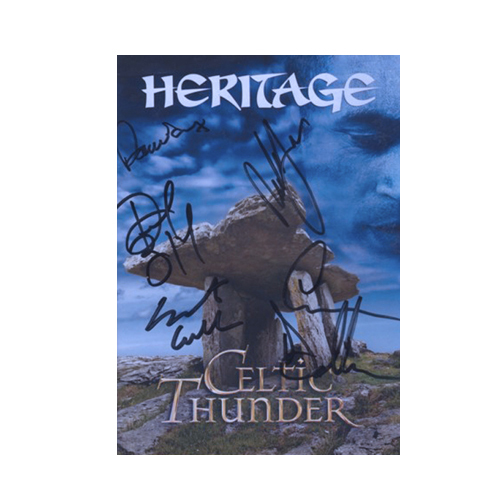 The ‘Heritage’ DVD is hand signed by George Donaldson, Damian McGinty, Paul Byrom, Neil Byrne & Emmet Cahill. There are 2 choices for the CDs, hand signed by George Donaldson, Damian McGinty, Paul Byrom, Neil Byrne & Emmet Cahill or hand signed by George Donaldson, Keith Harkin, Ryan Kelly, Neil Byrne & Emmet Cahill. This is a must have for any Celtic Thunder fan and a most definite ‘Collector’s Item”. 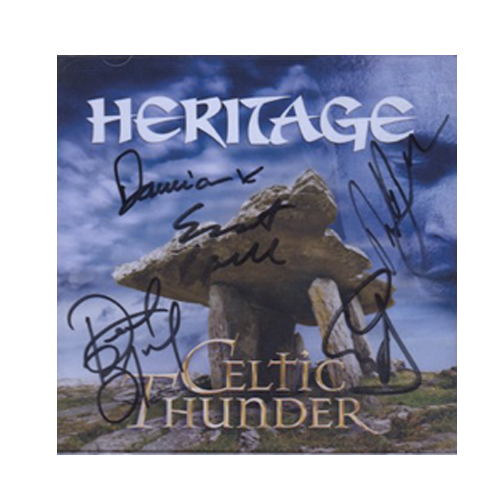 Heritage was released in 2011 and featured a wonderful inspired collection of songs. Tracks include the toe-tapping ensemble “The Galway Girl”, Ryan Kelly’s version of the romantic ballad “Black Is The Colour,” and George’s “Red Rose Cafe,” to name a few. Produced by Sharon Browne with The Celtic Thunder Band accompanied by a full 40 piece orchestra, Heritage delivers show stopping performances.